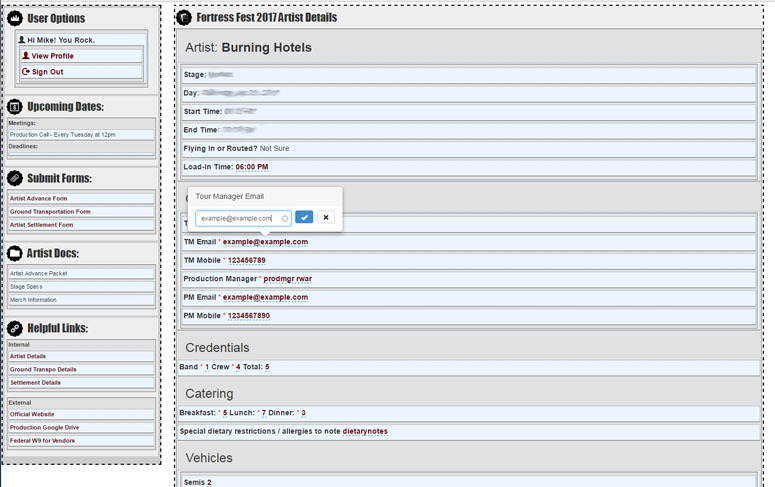 Festival Forms is a collection of customized advance forms, email templates, and resulting data overviews that bring together all of the various departments of your festival or event by storing all of their advance information in one place. 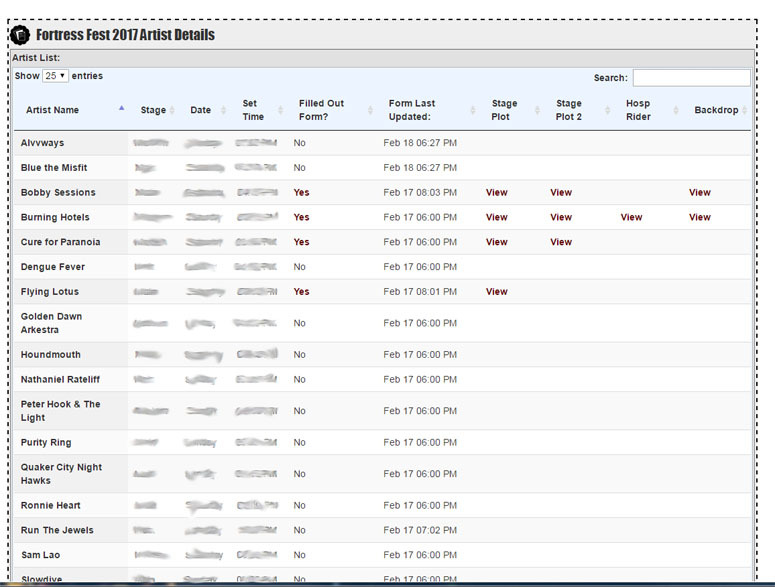 Customizable Advance Forms for every department (Production, Artist Relations, Site, VIP, etc.). When forms are submitted, the department manager and the form submitter both receive an email receipt showing all completed form fields. The data is also saved to a mySQL database and can be edited on the fly. 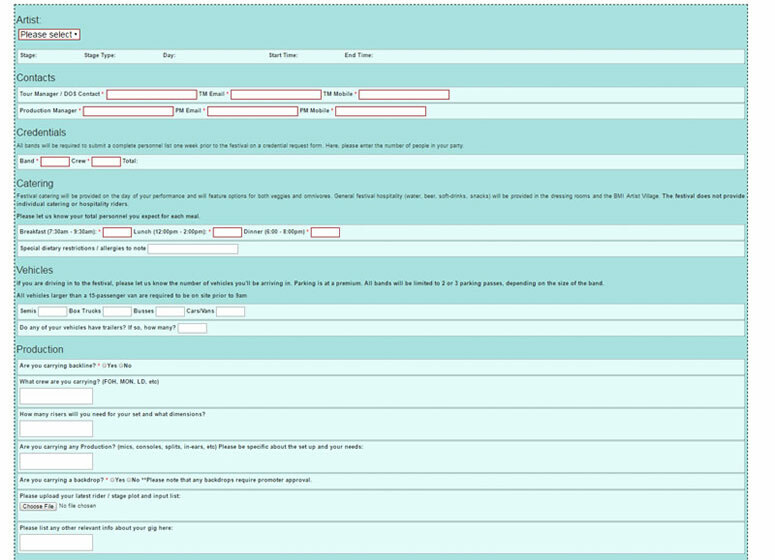 Ability to edit form data in place - both by the form submitter and the department manager. After submitting their form, the submitter will receive a unique login that only allows them access to their particular form. Contact info@festivalandeventproduction.com for more information or to get a demo login.